Last year, after Abby and I completed our first half marathon, we were asked if we would do it again. We gave an emphatic, "NO!" One year later found me lining up at the starting line for another half and Abby running her first full marathon. It's kind of like childbirth – you forget the pain and remember the glory. So, this year, about a week after the races, Abby threw down the gauntlet. Although we have run three races together, we have never actually run together – she is much faster than I am. However, she made me an offer. If I would commit to running a full marathon, she would run with me, step for step, and we would cross the finish line together. That's quite a concession for her because she's very competetive. The crazy part is that I am actually considering it. I told her that I would train in earnest for next year's Whidbey Half Marathon (my training was only half hearted this year) and if I could get my time down to 3 hours, I would sign up for a marathon. We have several options. I am slow, slow, slow, so we need one with a generous time limit. Another option is one with no hills that would run faster. So – stay tuned for more craziness! 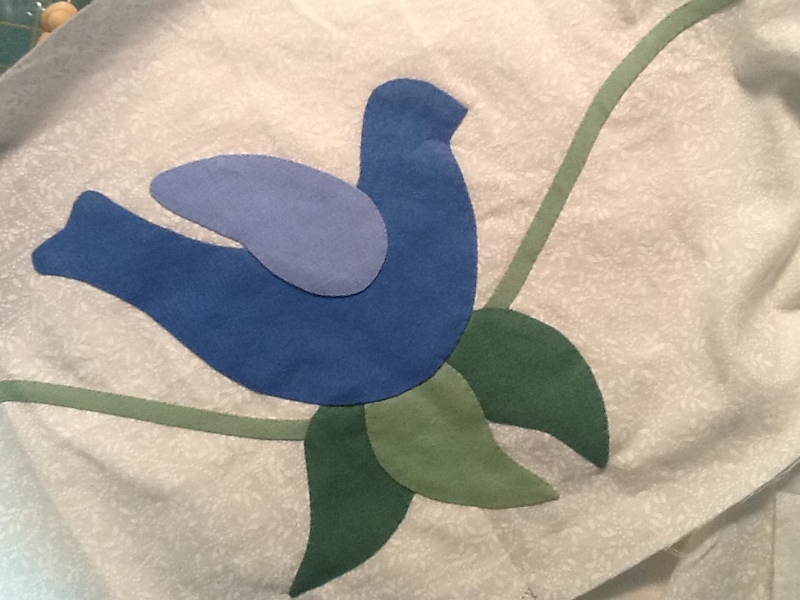 One thing about hand quilting is that it is such a slow process that progress pictures look remarkably the same. I'm continuing on the border and seeing the beginning of the end. I finally decided on a design for the purple borders – little marching leaves. 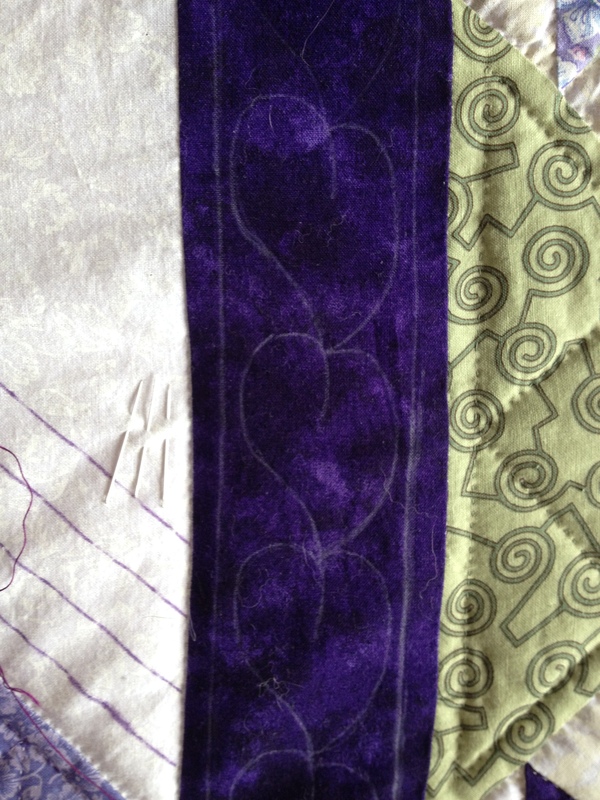 You can also see in the picture the marks I'm using for my quilting lines. I've discovered Frixion pens and am in love. 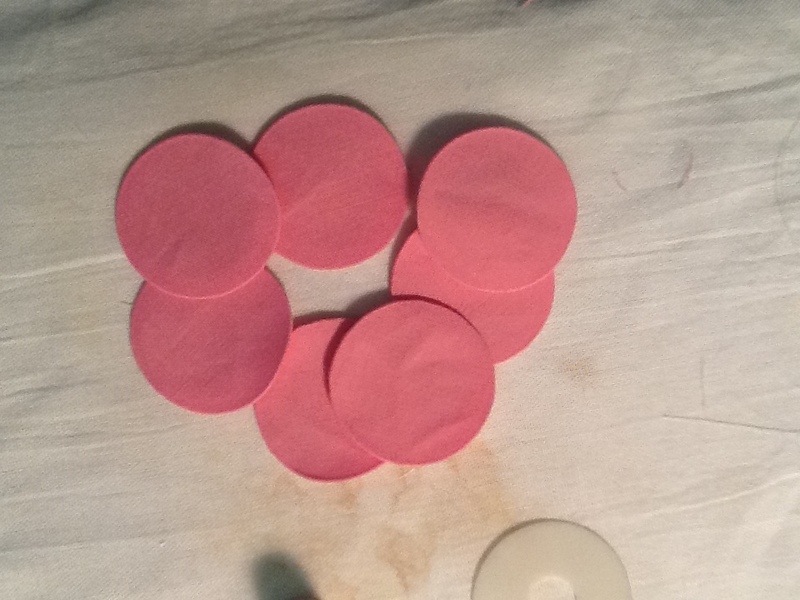 They make a very visible mark but erase easily with heat. You can use an iron or steam. I think I may even experiment with using a hair dryer. I've done lots of research on them and apparently they can come back in the cold, but since I have no plans on putting my quilts in the freezer, I'm not worried. But I'll do my own testing to how that works once the quilt is washed. 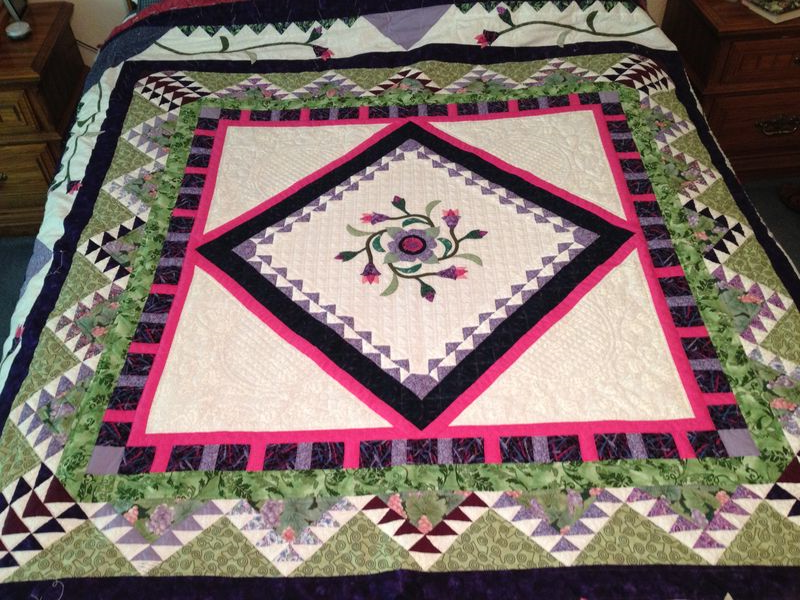 I've found a new quilt designer that I like very much – Donna Lynn Thomas. 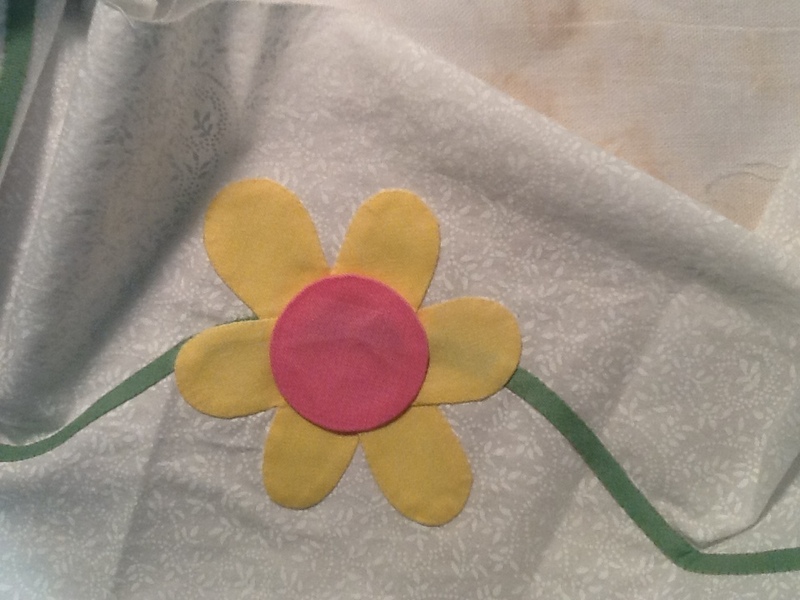 I saw her on an episode of Quilters Newsletter Workshop. 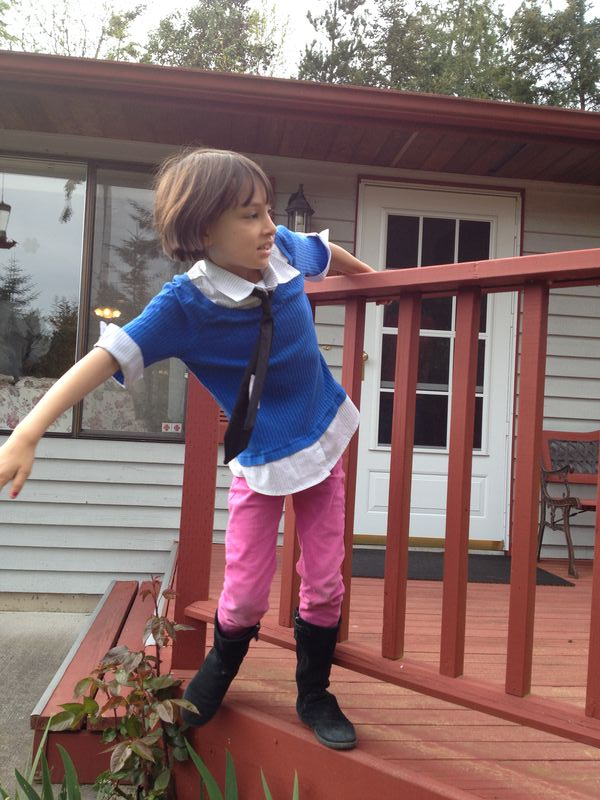 She has several books out – I got two from the library and bought one. 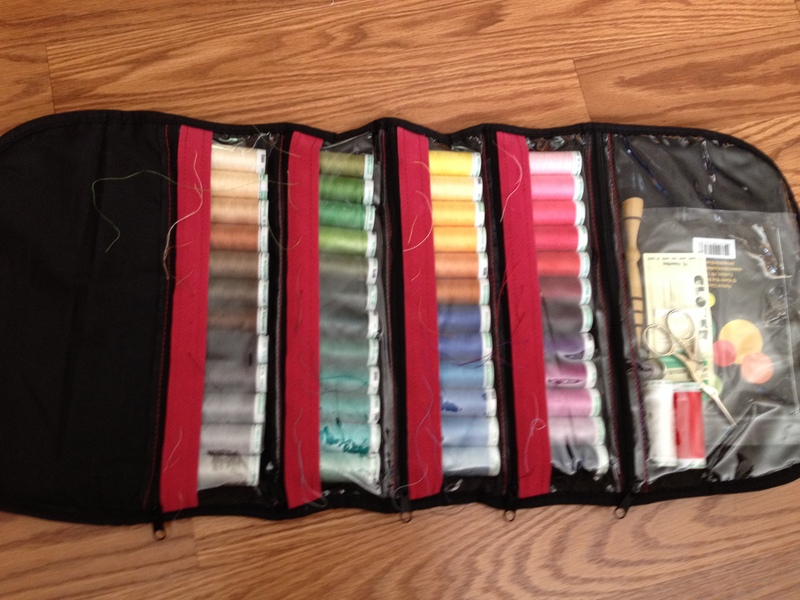 Patchwork Palette is her color theory book and lays out three different methods for color planning. 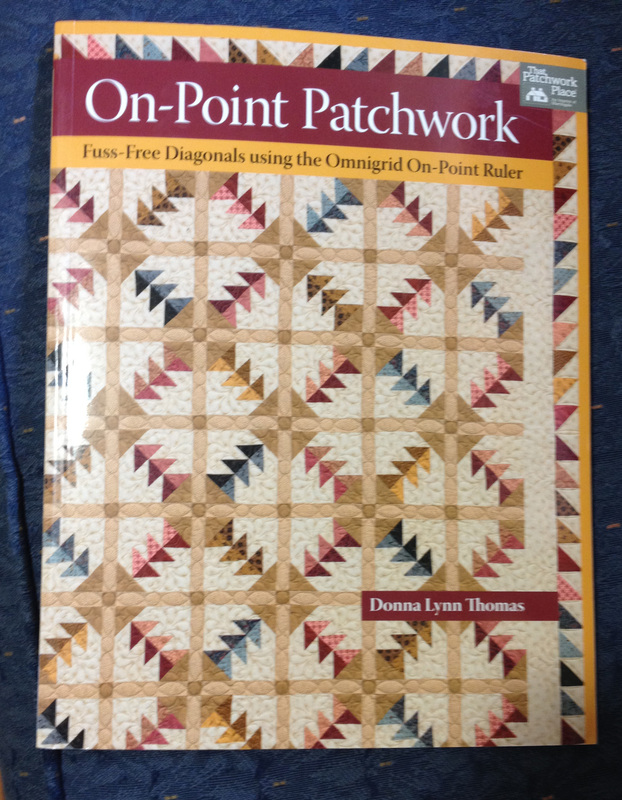 For someone as color challenged as I am, especially in planning more scrappy quilts, this is going to be a huge help! One of the best things is that she lays out a plan for all three methods that suggest buying fabrics just a little at a time. 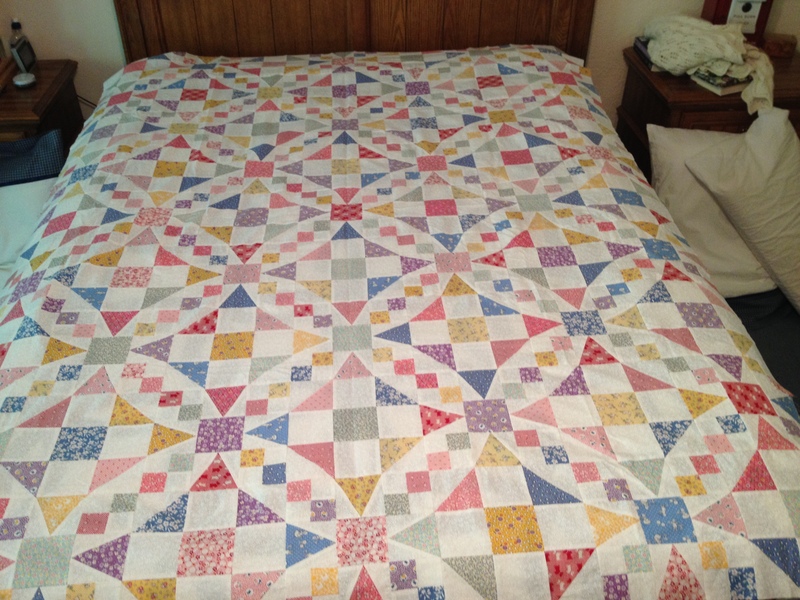 You don't have to go out and buy fabric for a whole quilt at once and break the budget. The second book is on her technique for flipping corners. Think the old basic snowball quilts and you'll have the idea, but she takes it to a whole new level. 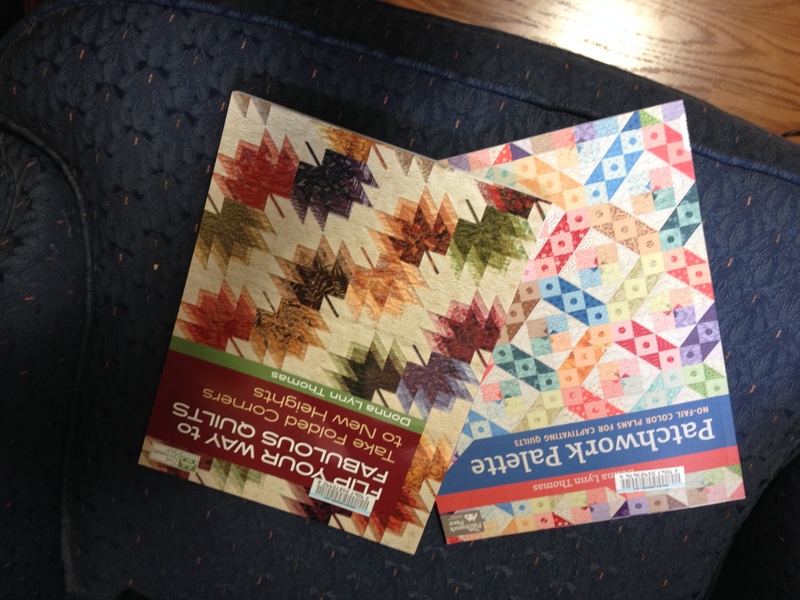 These two were from the library – the third one that I bought is On Point Patchwork. 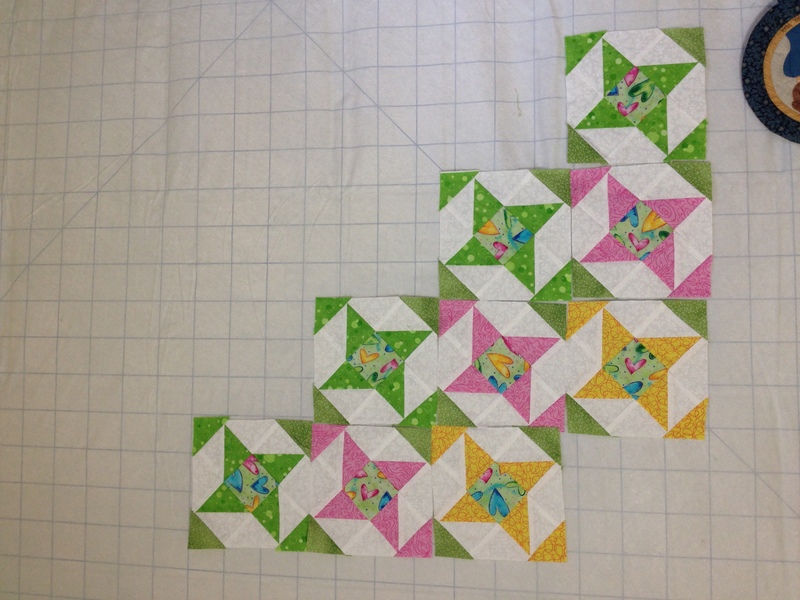 Once again – you could use her color planning method and buy small pieces of fabric over time to get a pretty, scrappy quilt. Easter was so much fun with the girls around. As usual, the girls exhibited their unique personalities – Mei-Mei picking flowers for a princess crown and Isobel looking for something to climb! 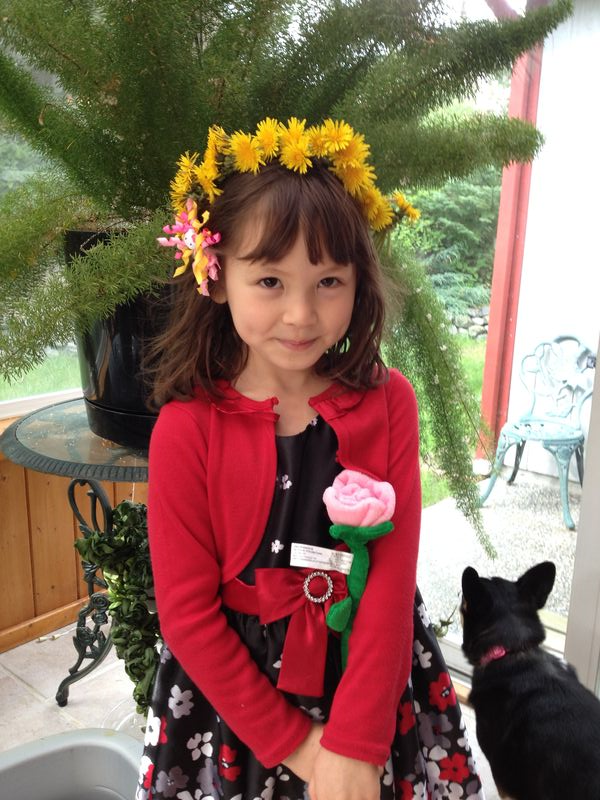 It's hard to believe that Isobel will be turning 9 this week. Just yesterday I was knitting little baby things for her. Her last sweater was so well received (she's hardly taken it off in two years!) 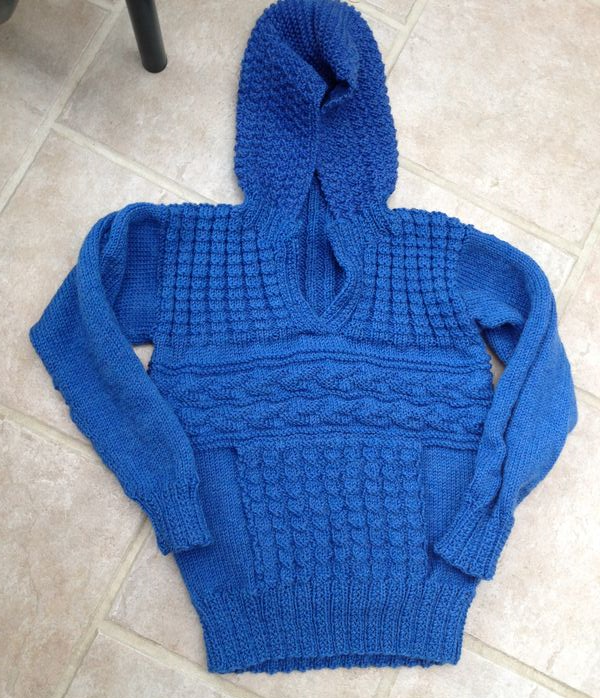 that I have knitted her another one. It looks absolutely huge, but I have a feeling it will be none too large on her. 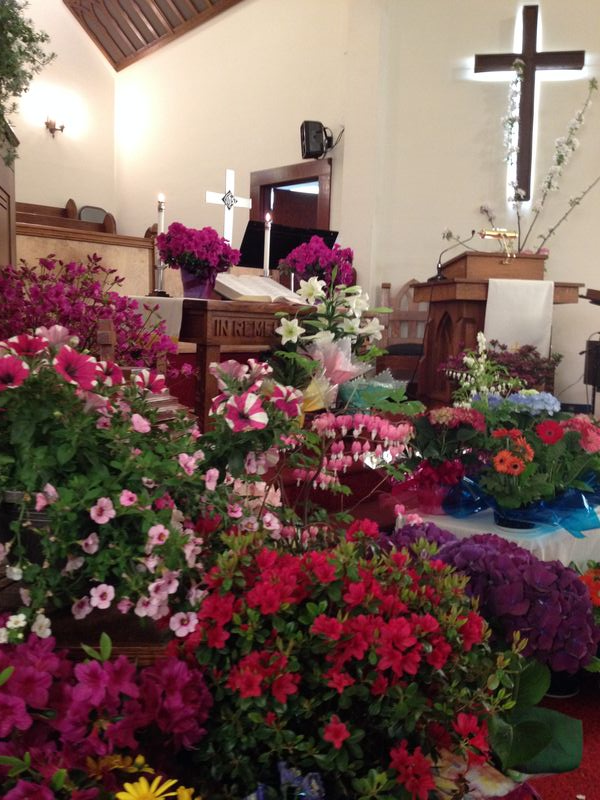 I leave you with this picture of our church on Easter. These beautiful flowers were made all the more special because at Thursday's service, the altar was stripped bare and draped in black. What a marvelous testament to the joy and rejoicing of Easter! Several times over the past few months I've considered discontinuing my blog. Readership is down and I honestly struggle over what to blog about. But in looking back over the years I realize that this blog is about as close to journaling as I will ever get. I love looking back and reading about meeting my daughter-in-law for the first time, the wedding and the birth of my two granddaughters. So I will continue to blog, for myself if nothing else. I will, however, consider a new direction. As those of you who follow me know, I tend to dabble in several areas of artistic endeavor. At any given time, one will capture my attention more than the rest, which will be relegated to a back burner. Not forgotten entirely, but taking a backseat. Currently quilting seems to have grabbed my attention and I'm enjoying tremendously what will probably always be one of my first loves. 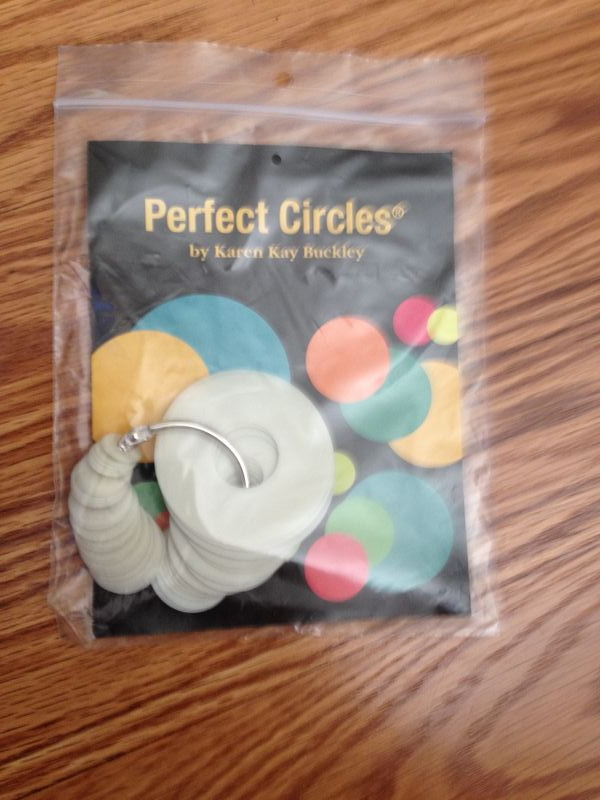 I think I could happily sit and watch episodes of "Fringe" and make little circles all day long! This will be for Isobel's 9th (!!) birthday in May. She has worn the last sweater I made her nearly nonstop, so she deserves a new one. 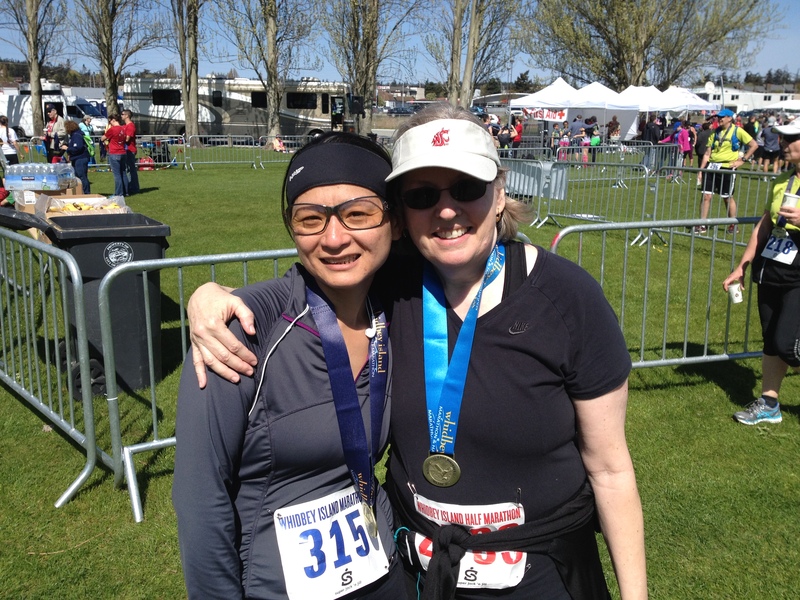 Last, but certainly not least, you might remember that I ran a half marathon last year with my daughter-in-law. Immediately after we swore we would never do it again. So this year, she ran a FULL marathon and I did the half! It's kind of like childbirth – you have to forget it before you try again. So proud of Abby – her time was great! Mine was not so great, but my training was not up to snuff this time. But we both finished (and I was not last) and that's what counts! 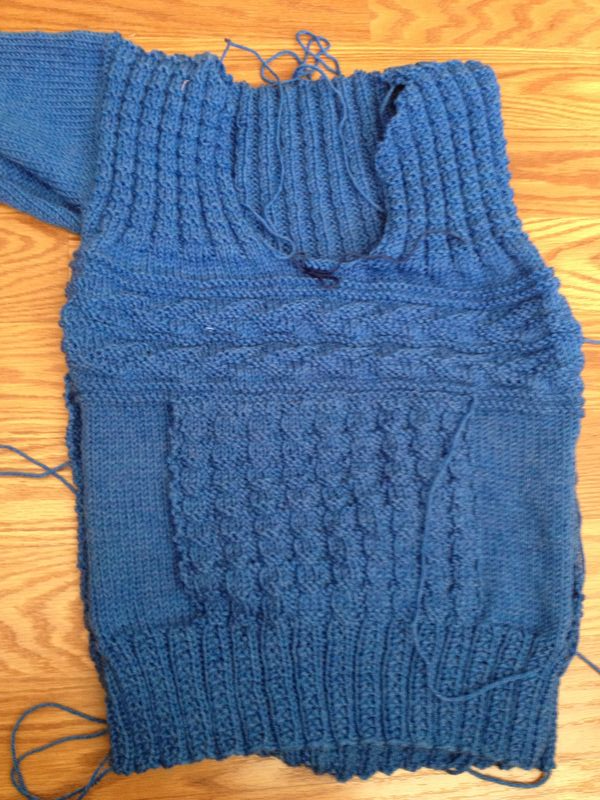 I hope to be a little better about blogging – next post I'll go into a little more detail about the sweater knitting and will hopefully have few more happy little flowers to show.